Lock-in your look with this FABULOUS Urban Decay setting spray. I use this makeup-saving spritz for long road trips and extended photo shoots. It works wonders, y’all–and for only 30 bucks…you can’t beat it! Click the image to shop. Hello, beautifully fresh skin! 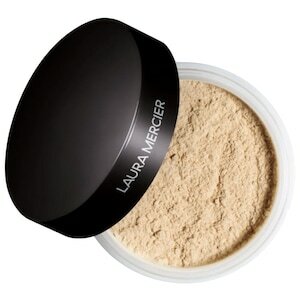 With just a few brush passes of this spectacular translucent setting powder from Laura Mercier, your face will look as if you just reapplied your makeup. I love to use this powder every day as well as for photo shoots and filming for broadcasting. It comes loose or in a compact. Click the image to shop. If your going-home-for-Christmas trips are anything like mine, you don’t catch any zzz’s between the long drive and sleepless nights on an uncomfortable air mattress. 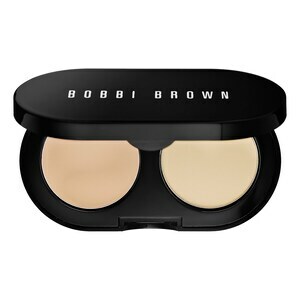 So, the Bobbi Brown creamy concealer kit is a LIFESAVER for hiding dark undereye circles from nosey family members who will question your well-being, work schedule, and life choices all because of the dark circles….but we still love those family members *wink* Click the image to shop. WATERPROOF EVERYTHING! Whether you’re crying tears of joy or sadness, I recommend tossing some waterproof liner and mascara in your VIP Beauty Emergency Bag. One of my favorite liner and mascara brands is They’re Real, and now you can get all of the awesome products in a nifty kit! Click the image to shop. Controlling the flyaways and frizz has never been so easy! 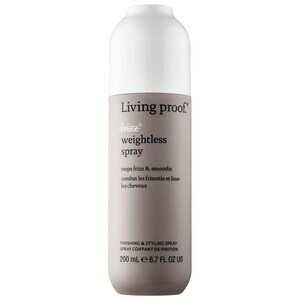 With wild and messy curls, this weightless styling spray from Living Proof helps tame my hair throughout the day. All I do is spritz a few times after blow drying, tossle with a dry towel (because of the curls), and TAH DAH! Lovely hair all day. You can also keep the travel size in your purse for frizz control throughout the day. Click the image to shop.